This page is for the original version. 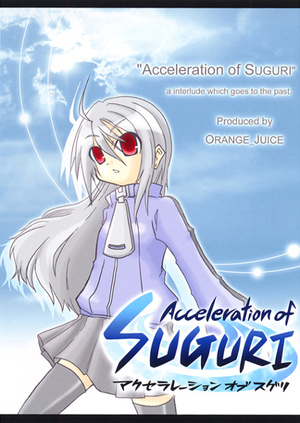 For the HD re-release, see Acceleration of SUGURI X-Edition HD. May have compatibility problems running on newer Windows systems. Keyboard controls cannot be remapped. SUGURI: Perfect Edition, an English-localized compilation of SUGURI, Acceleration of SUGURI plus the X-Edition expansion pack, and the games' original soundtracks on DVD sold by Rockin' Android is no longer available. Adds new unlockable characters and stages, plus two story scenarios (Falling Wonder and Pudding Deity). v1.1 and v1.2b patches for the original Japanese release of the base game and expansion pack respectively can be downloaded from Orange_Juice's official website. The English localization of the base game and expansion pack are already updated to their latest version. system.dat is the save data for the base game and system_x.dat is for the X-Edition expansion. Save data for X-Edition expansion is compatible with the HD version. General settings from configuration launcher. Enabled through the configuration launcher. 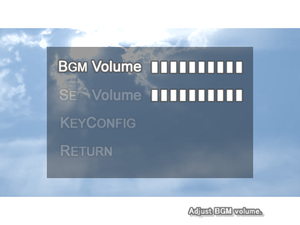 Controller set-up from configuration launcher. Uses a pre-defined Z, X, C, V, A, S, and Arrow keys for gameplay, T to pause, and Space is used to take screenshots. DirectInput controllers are recommended. May not recognize D-pad for certain controllers. 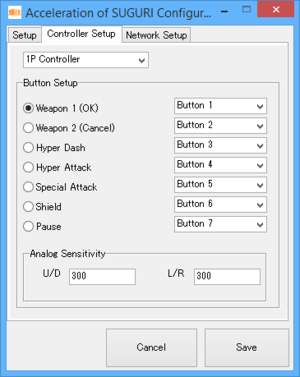 Controller buttons can be reconfigured from the in-game Options menu. Digital movement. 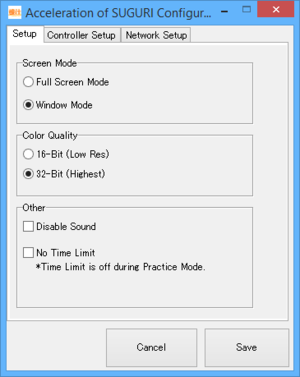 Deadzones can be adjustable in the game's configuration launcher only. Controller buttons work, but does not register inputs from D-pad and triggers, and analog sticks may not work properly. Buttons are referenced by number. Originally fan-translated into English prior to Rockin' Android licensing the game. Network settings from configuration launcher. 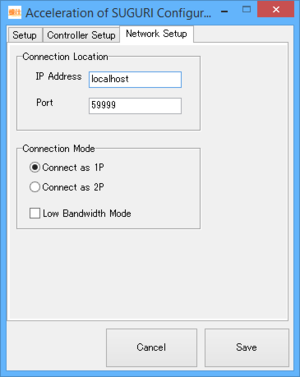 IP addresses, port numbers, and player positions must be setup through the configuration launcher. The game may crash when attempting to launch the game. This page was last edited on 10 April 2019, at 03:34.